With over 20 years of experience in the rental of cars and vans, we offer competitive rates, as well as a variety of categories to choose the best option that best suits your price range and travel needs. With the car rental in Mexico City you will enjoy fully, at your own pace, all the places of interest and attractions in the Capital of the country, the Metropolitan Area and surroundings: the Historic Center, Coyoacán, Chapultepec and the different museums, among many things that see and do in this huge city. Drive freely in Mexico City, in total comfort and safety of our cars and trucks, without having to wait for public transport or someone to pick you up. For your convenience, we offer 24 hour service, 365 days a year at our Mexico City Airport branch, so you can easily and quickly rent a car or truck just at the time of your arrival, without worrying about the time of day. WHERE TO GO IN MEXICO CITY? Mexico City or CDMX, formerly known as the Federal District or simply Mexico City, is the capital and heart of the country's political and financial life, the seat of the Executive Legislative and Judicial Branch, with a great colonial architecture, avant-garde business infrastructure, In addition to unbeatable cuisine and fun for all tastes and budgets. It is also, among many other things, the birthplace of the Mexican Empire and home to dozens of traditional markets where you will get to know real Mexico more closely. The list of activities, entertainment and attractions in Mexico City endless, for all ages and travel budgets. During your next visit to CDMX or DF, walk in a trajinera in Xochimilco, visit the emblematic Archaeological Zone of Teotihuacán, spend a day in contact with nature in the Ajusco or Tlalpan Forest, visit Coyoacán and visit its museums, the Parish of San Juan Bautista, the Artisan Bazaar and eat typical dishes in some of the inns. Walk through the Historical Center with its architectural gems such as the Zócalo, the Alameda Central and the Palace of Fine Arts; climb to La Torre Latinoamericana, stroll through the traditional CDMX colonies such as Roma and Condesa; have a drink in Zona Rosa or walk Paseo de Reforma with its famous Angel De La Independencia; visit the Bosque de Chapultepec, go shopping at Polanco with its famous Presidente Mazaryk Avenue full of prestigious boutiques, or explore San Angel with its beautiful mansions and churches. 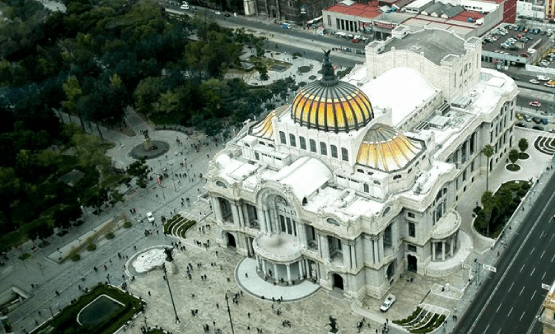 Very few people know it, but CDMX, or DF, is the city with the largest number of museums in the world, so visiting it gives you the opportunity of a wide range of entertainment and culture options. And what better way to go at your own pace and in the comfort of a rented car from America Car Rental. National Museum of Anthropology (MNA). Casa Estudio by Diego Rivera and Frida Kahlo. Museum Old School of San Ildefonso. Service 365 days a year. Free cancellation or modification *. 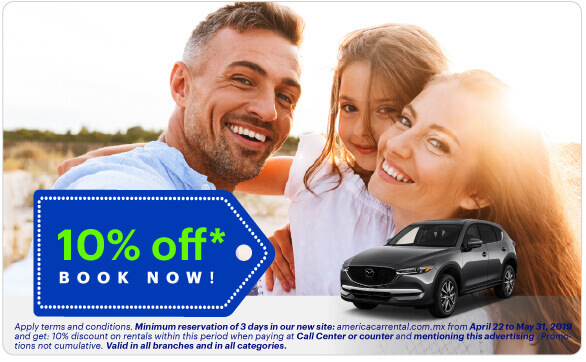 America Car Rental offers you the best car rental experience in Mexico City during your next business trip or vacation. Let us assist you and offer you a fast and efficient service at our America Car Rental Mexico City branch. 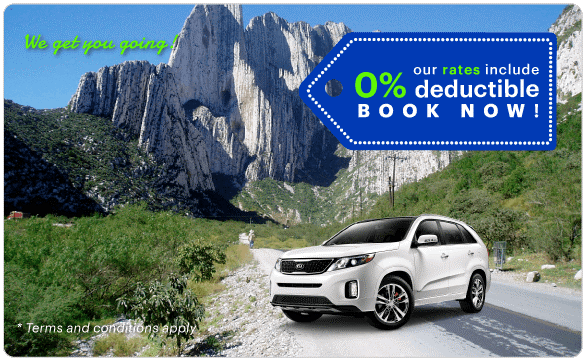 It is VERY Easy to rent a car or van in Mexico City, DF! We have the perfect ones for you!